School life isn’t a bed of roses for my daughter. If given an extra time she might still use them to do her homework or review her lessons for an upcoming recitation or examination. That’s how diligent she is. But don’t think she’s not having fun at all. She knows when to relax and enjoy a bit of her favorite activities in between her busy school sked. She maintains a balance between her studies and hobby. You can catch her watching a movie or drawing from her laptop. She also listens to her favorite FM radio station to unwind. I guess if she can play a musical instrument she could use her spare time to play one even an instrument that uses a cool big muff pedal. And yes, hard work is always rewarded. 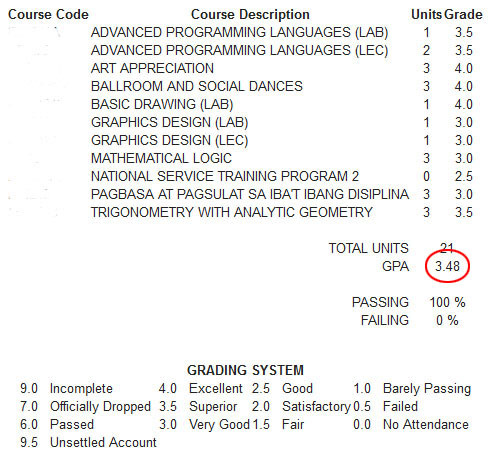 A report sent to me by her school shows her midterm’s performance for the second term.